Last week was a pretty good week for our LIVE! 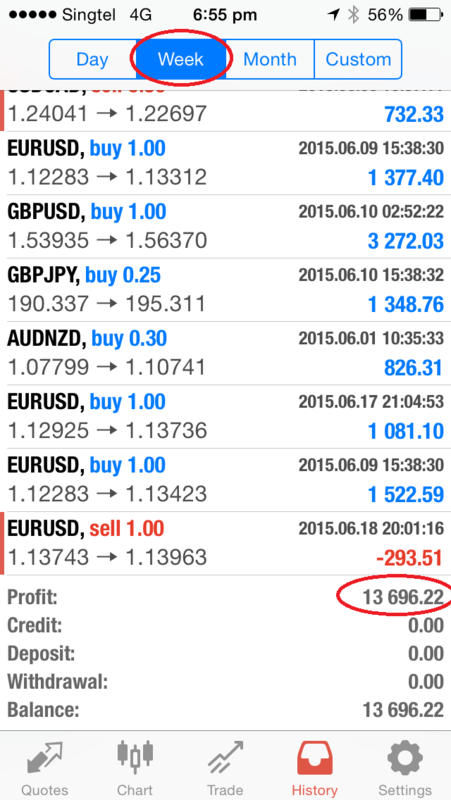 forex trading group, and I netted a realised profit of $13,696 in just one week. Note that this does not include the open positions we have, which is currently in the money about $1,000. These are the exact same trades that I have been posting in the trading group, and I am glad that everyone is making a killing in the forex market, and creating a 2nd source of income for themselves and their families. Testimonial: "From Zero to Hero in Two Days!" Testimonials: "Help Learners to Kickstart Preparation for Trading"
Testimonial: "Great Systematic Approach to Trading with Good Results to Prove"
Trader's Lifestyle Challenge: White Water Rafting + Conquering Mount Kinabalu! Live Trade Follow-up: GBP/JPY Short Trade US$1086 in the Money! How much do you need to earn to be above Singapore’s “average”?